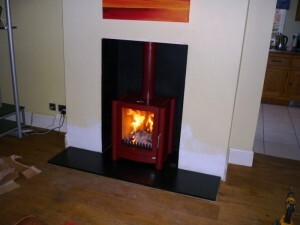 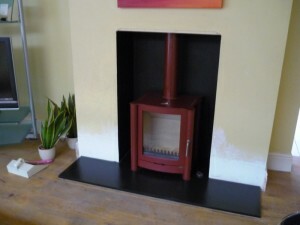 Firebelly Stove Installation in Wandsworth. 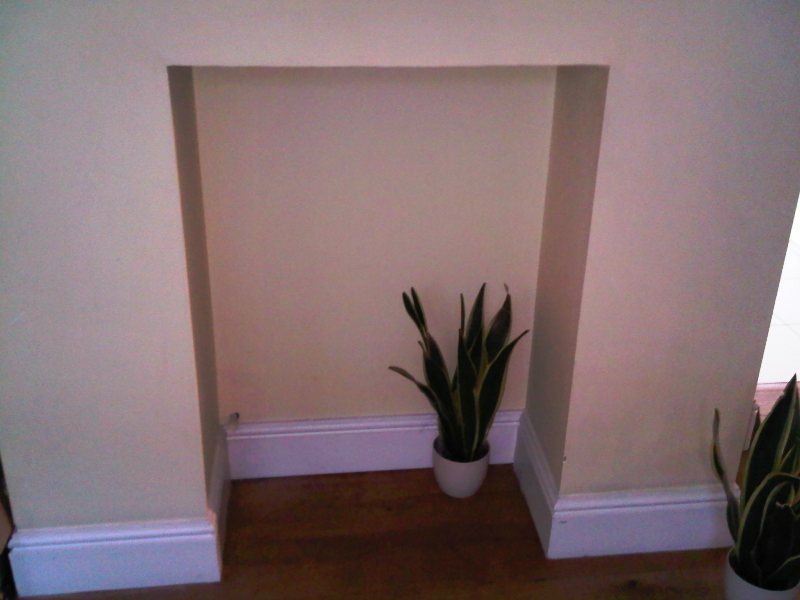 This client came to us through a property maintenance company that we work with. With help from The Billington Partnership, the client researched the market and chose upon a Firebelly Stove installation. 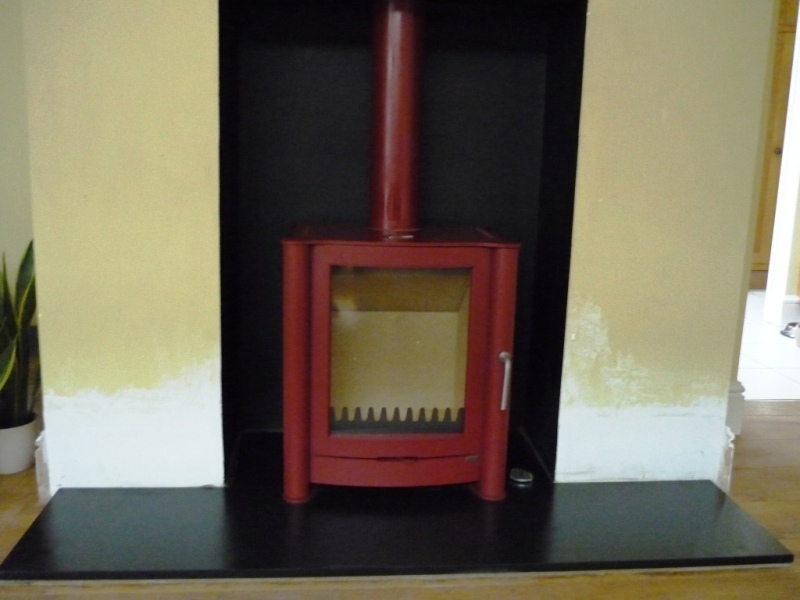 Having prepared the opening and laid a large slate hearth to accommodate the log basket, we then installed a Firebelly FB1 in the fabulous colour Mojave Red. 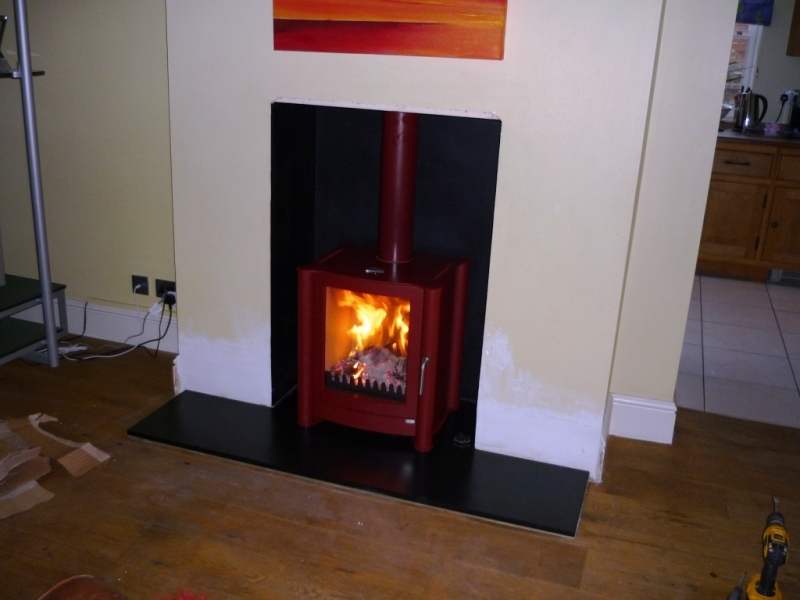 The Billington Partnership successfully completed this project in one day. 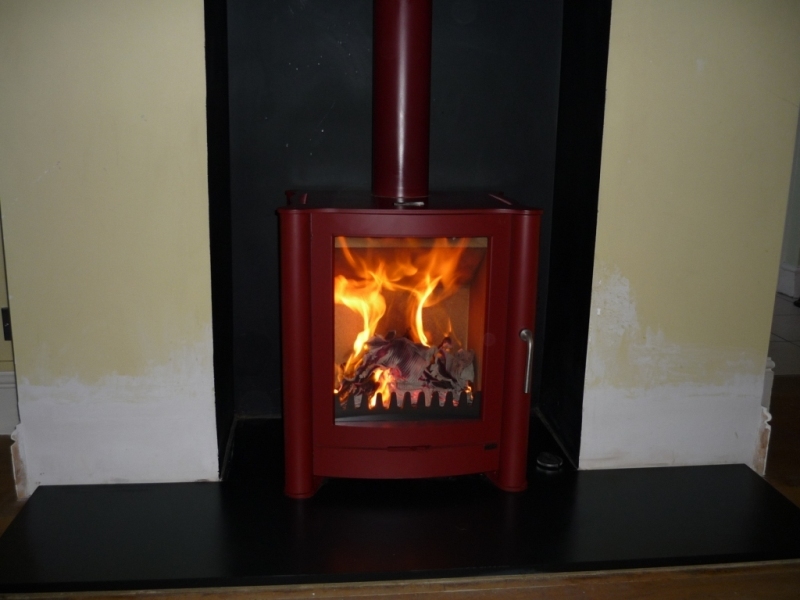 After every fireplace/stove installed by The Billington partnership, we then lit it to test everything is in working order. 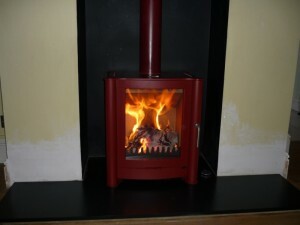 Finally, the images show the stove burning well through the massive viewing window.